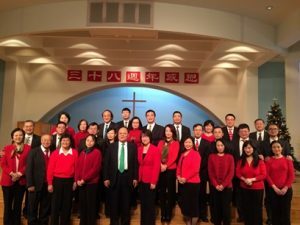 Chinese Christian Church of Rhode Island started with a dozen or so students and scholars in March of 1977. It currently has more than 500 members and located at the beautiful historic city of Pawtucket by the Blackstone River. God’s grace fostered this growth in 40 years. In May1989, CCCRI established its first fellowship named Enoch. By Jan1997, there were 7 small groups branched from Enoch. 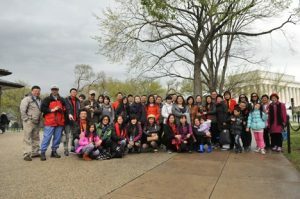 In April 2000, one of the small groups, namely Timothy, was renamed as Jia Mei Fellowship. 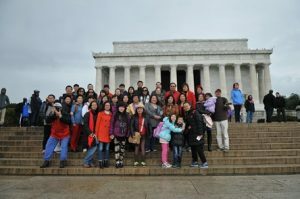 The Chinese meaning of Jia Mei is the happy family, also refers to beautiful homes in the United States, as well as homes located in the prosperous land. With the growth of CCCRI, Jia Mei Fellowship expanded steadily. So far, there are up to 90 brothers and sisters participating in fellowship activities regularly. 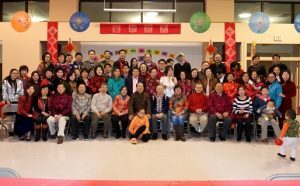 Praising, prayer, testimony, Bible studying, mutual support, and caring for each other have always been an important part of Jia Mei Fellowship. Fellowship activities promote intimate and joyful interactions with God for all the members. We believe that we brothers and sisters live a sanctified life because of the chosen by God. We are in the world but different from the world. This difference can not be easily understood and explained by non-Christians. We believe in God’s preparation and lead, thus willing to wait quietly. We believe that since God has established a marriage, He also gives those who are willing to seek contentment and happiness in marriage the ability to shape a loving family to glorify His name. Jia Mei Fellowships invites you and hopes to share with you the loving power from the above. Gathering Time : the third Friday of each month. Fellowship: to establish a heathy and faithful way of living among believers and to learn to serve the Lord together! Members: Christian families and/or brothers and sisters age from 30 to 64 years old.